The UK received an extension from EU this month thus avoiding hard-Brexit scenario. After the current agreement, the Brexit deadline extended to October this year. It is good news but the main problem has not solved yet. GBP/USD slightly higher at the beginning of the month as U.S dollar retreat. But, the pair stay silent after the Brexit extension. This month, the EUR/GBP range expected to span between 1.3000 – 1.3250 and close inside the range by the end of the month. GBP/USD closed inside the 1.3000 – 1.3250 range in the previous month and confirmed there is no breakout yet. The pair expected to continue its ranging movement inside the range this month. Brexit has been delayed and there is no major reaction in the pair yet. We will wait for another monthly close to determine the next direction. A close inside 1.3000 – 1.3250 means the pair will continue sideways. On the weekly chart, GBP/USD hovering near the bottom of the red channel and 1.3000 support level. 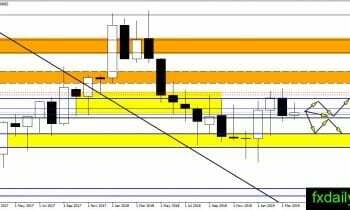 If the bull could incite rally from the support levels then we could expect GBP/USD to start moving up and test 1.3250. 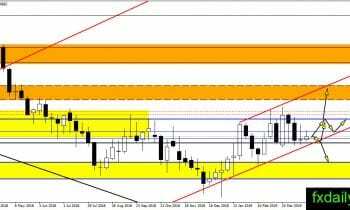 A breakout above 1.3250 will trigger further buying toward the top of the channel. 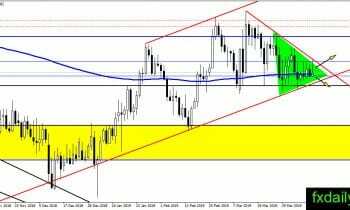 GBP/USD daily chart show indecision and neutral situation as the pair waiting for a breakout from the triangle pattern. The pair is neutral because it hovering up and down the daily SMA 200. It is better to wait for the breakout to happen before placing any positions. At the moment, traders could trade the range between 1.3000 – 1.3250 for medium-long-term. In a shorter time frame, we are waiting for a breakout from the triangle pattern on the GBP/USD daily chart. Next direction will depend on the breakout direction. Waiting at sideline until the breakout happens might be one of the best options to take.